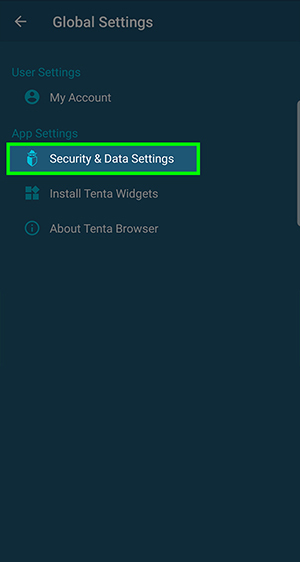 Tenta Browser keeps all of your browsing history and data safely locked behind your PIN. 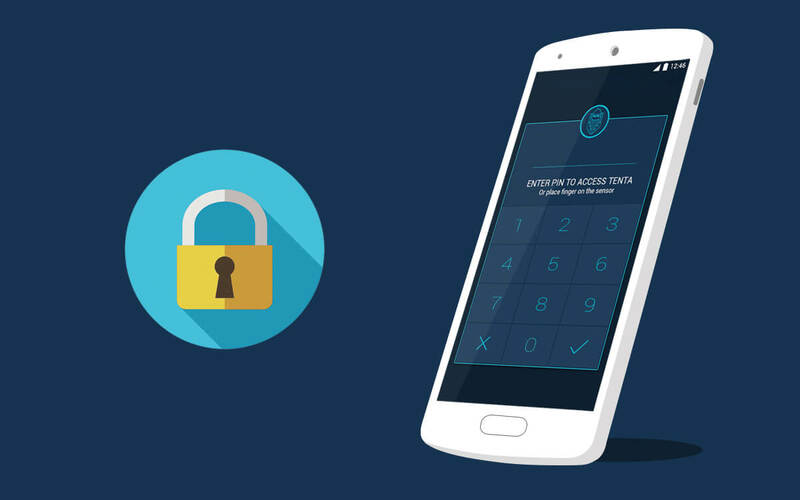 There is no way for us or anyone else to access your account without knowing your PIN code. 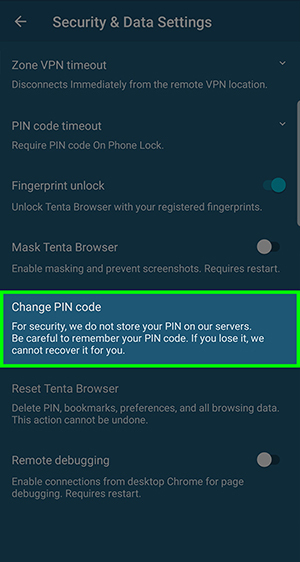 This means if you lose or forget your PIN, Tenta Browser cannot recover it for you. 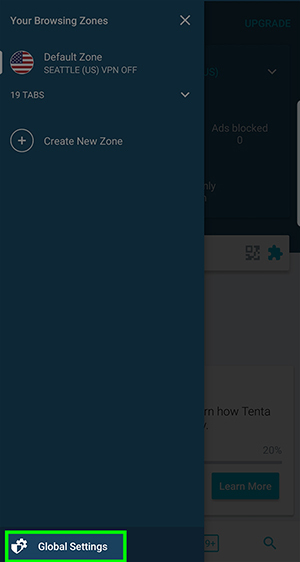 Tap Change PIN to set a PIN code.